Maybe you’ve bought a camera but are unsure of how it can be used over distance. Or you could be about to buy a camera but need guidance on which model will accurately measure the temperature of your application without breaking the budget. To make that assessment thermographers need to consider several factors such as resolution, instantaneous field of view, lenses, the size of the object and more. You can compare it to an eye test. When you look at the eye chart from the optician’s chair, you may be able to see that there are letters on the smallest line – but at what distance can you still read the letters (i.e. “measure” them)? If you have 20/20 vision, you can define the smallest letters at greater distances. 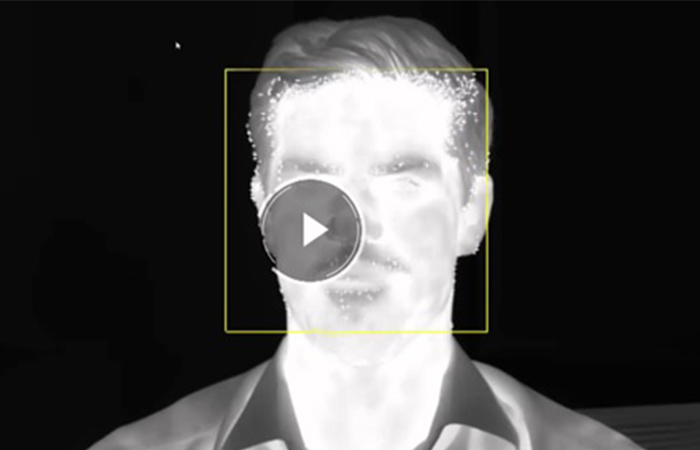 In this case, 20/20 vision would be equivalent to a high-resolution thermal imaging camera. If your vision isn’t perfect, you can improve it with glasses (i.e. adding a magnifying glass to the camera) or getting closer to the eye chart (i.e. reduce the distance to your target). Understanding spot-size ratio is especially important. Spot-size ratio is a number that tells you how far you can be from a target of a given size and still get an accurate temperature measurement. For the most accurate temperature measurement, you want to get as many pixels from your camera’s detector as possible onto your target. 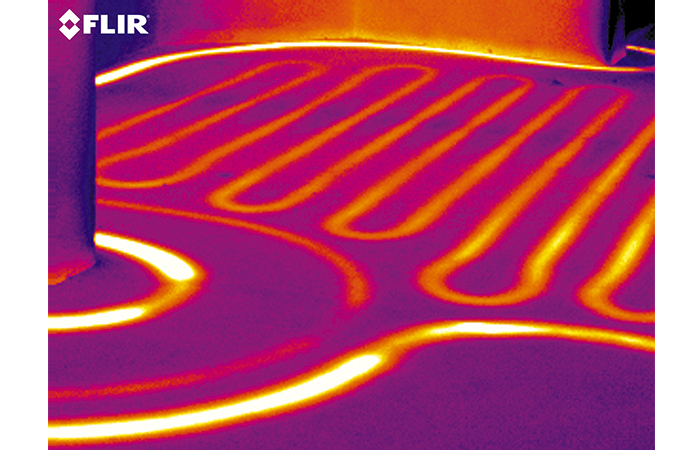 This will give you more detail in your thermal image. 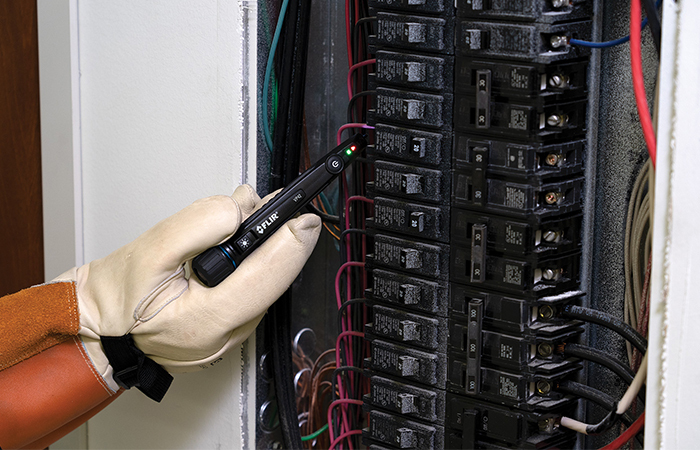 As you move farther and farther away from the object you want to measure, you lose the ability to measure temperature accurately. The higher the resolution your camera has, the more likely you are to get more pixels on a target from farther away with accurate results. Digital zoom doesn’t improve accuracy, so higher resolution or narrow field of view is key here. Let’s say you’re looking to get an accurate temperature measurement of a 20 millimetre target from 15 metres away with your thermal camera. How do you figure out whether your camera can do this? You’ll need to check the spec of your camera and know both the field of view and the resolution. For this example, let’s say your camera’s resolution is 320 x 240, and your lens has a 24-degree horizontal field of view. Since your lens has a 24-degree horizontal FOV, you’ll divide 24 by the camera’s horizontal pixel resolution — in this case, 320. Then you’ll multiply that number by 17.44, which is the result of (3.14/180)(1000) in the equation above. So what does this number mean? The spot size ratio is 19.62:15000. This number is the measurable size of one single pixel (1 x 1). To put it in more simple terms, this calculation tells you that your camera can measure a 19.62 mm spot from 15 metres away. Due to a phenomenon called optical dispersion, radiation from a very small area will not give one detector element enough energy for correct value. We recommend making sure that the hot area where the spot value requested is at least 3 x 3 pixels. Just multiply your theoretical spot size ratio in millimetres by three, which gives you a spot size ratio of 3 x 3 pixels instead of 1 x 1. This number is going to be more accurate. This means you can measure a 58.86 millimetre spot from 15 metres away. 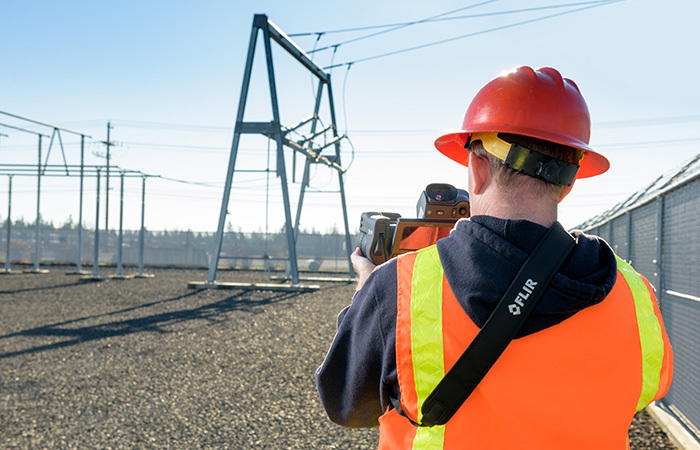 If you are planning a thermography survey, think about whether you can get close enough to a target to get an accurate reading. Accurate should be interpreted as “good enough for proper interpretation.” This does not necessarily even mean within the accuracy specification of your camera. You can make the mistake of being off by several – even hundreds – of degrees if you don’t consider the spot size ratio. 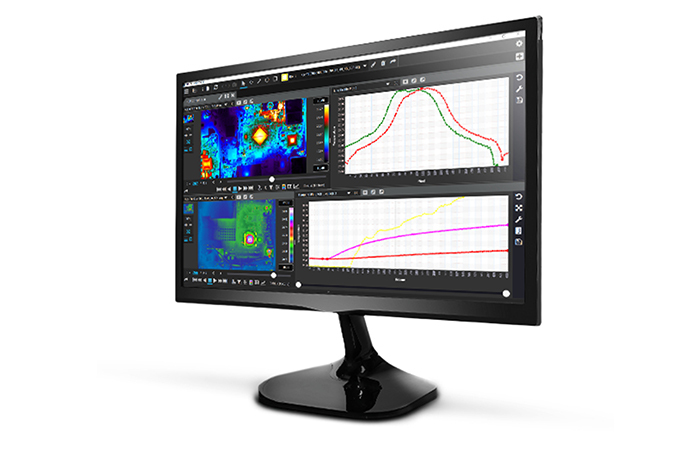 To make the calculations quicker, FLIR has a FOV calculator for each of its cameras on http://flir.custhelp.com. 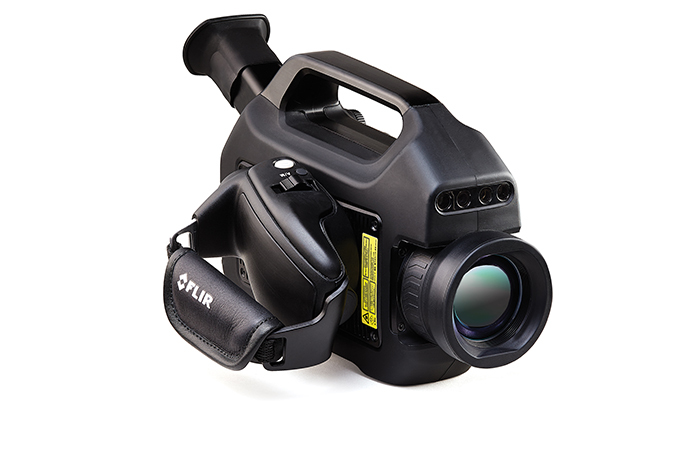 Just click on the FLIR camera series you are using, which will take you to a list of all the cameras in that series. Click on “FOV Calc.” next to the correct camera, and it will show you your camera’s spot size ratio.